With digital payment technology moving at lightning speed, aggregator giants like PayPal keep a lot of businesses running. But PayPal alternatives still offer more security and better service for high-risk merchants. An active user base of 235 million and 19 million merchant accounts makes PayPal one of the most popular digital payment platforms on the market. And it’s easy to see why, with customer data encryption, buyer protection, and digital wallet options like P2P platform, Venmo. Merchants can set up free accounts with instant approval, bookkeeping software, and widespread integration for running online businesses. But, like most payment aggregators, PayPal’s weakness is its inability to work well with high-risk businesses. With multiple fees, limited global availability, and shipping complications, relying on PayPal as your primary processor can devastate your business. 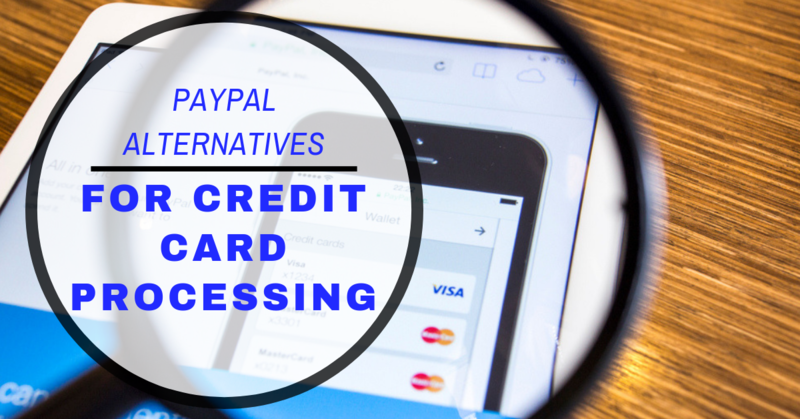 High-risk merchants should consider the following factors and look into PayPal alternatives. Like Square, PayPal has a reputation for suspending accounts without warning. If their algorithm detects “suspicious activity”, such as sudden surges in transaction volume or vague or questionable items for sale, your account can be frozen immediately. Why? PayPal’s easy application process does not include underwriting or a risk assessment of your business. Months after you’ve been accepted and begun processing customer transactions through your PayPal merchant account, the company can assess your business and decide whether or not to keep your account. PayPal can also legally freeze all your funds for up to 180 days (six months). On top of that, they have the right to hold payments for up to 21 days before transfer, in case there is an issue with your transaction. Transfers themselves can take up to 5 business days. PayPal’s Payments Standard plan may be free, but their Payments Pro plan costs about $30 a month. As with most processors, the company also charges a fee (2.9% plus $.30) of each payment per transaction involving goods or services. For small businesses, this might be doable and even be written off as a business expense. But as you scale, that 3% will only increase with the number of your customers. On top of paying PayPal’s transaction fee, you would also be responsible for any bank processing fees for transferring funds and accepting payments. These can range anywhere from 1.5-3.5% percent of each payment. Even with PayPal’s tiered packages, merchants lose around 6% of their revenue before seeing the funds in their account. And that does not include the chargeback fee of $10. While a global company on a large scale, PayPal is still not available everywhere. Aside from their list of prohibited countries, PayPal works with less than 30 currencies worldwide and merchants may not be able to receive payments from countries outside of that list. Using PayPal as a processor for shipped items can get complicated. The platform has no way of tracking shipped items and is more likely to side with the buyer if there are issues with a purchase. PayPal requests shipping and tracking numbers in the case of any disputes and merchants who don’t keep track can find themselves with a jeopardized account. International merchants may want to explore PayPal alternatives. Without a doubt, PayPal is a great one-stop starter solution or secondary payment option. But for growing businesses that need to prioritize security, stability, and risk management, it’s worth considering a different type of processor. Traditional payment processors, or merchant account providers, help guide merchants through the challenges of growing a high-risk business. Instead of drawing you and making you pay for your liabilities later, these processors take you through a thorough underwriting process before making a commitment. By evaluating business type, chargeback ratio, MATCH list or Terminated Merchant File (TMF) standing, and other factors, they can offer personalized services and long-term growth strategies. Specialized merchant account providers like MerchACT will work with high-risk merchants to manage liabilities and process payments securely. We also help you develop relationships with banks who have experience with high-risk industries. With proven, multi-currency account experience, we ensure stable and secure payment processing worldwide. Our goal is to provide a seamless, end-to-end processing solution for all businesses, no matter what the risk.